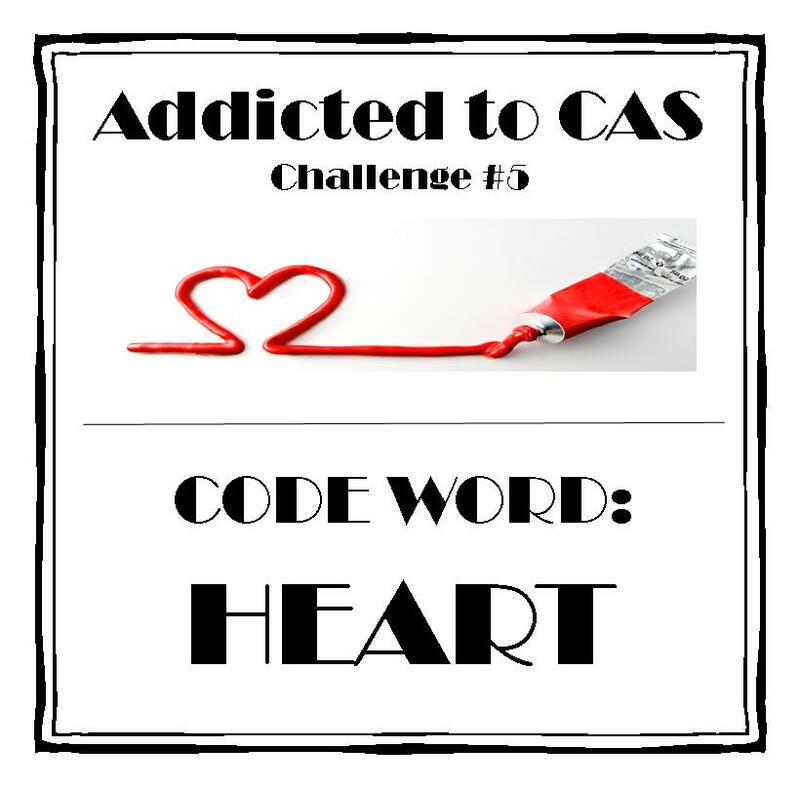 Another simple masculine valentine, this time for Addicted to CAS challenge #5 - Heart. I started by stamping a heart on the back of the white panel and then using my old hole punch and hammer (remember the ones we used to use to make little holes for eyelets and brads, back in the 'old days'?! ), so there's texture around each little hole where the punch came through. I backed the white panel with red to peek through the little holes and then matted on black and Sahara Sand. Finally, I added a little Waltzingmouse sentiment. I was inspired by Kelly's card here. Wow, that woman is talented and super creative (and very friendly as well)! Have you seen her series on boxes that add dimension but still fold to fit in an envelope? Start here, but there are quite a few - you will be absolutely amazed! What a neat idea Ardyth! Great masculine card! Totally CASlicious in every way, Ardy! I'm glad you said how you did it, b/c at first glance your peep-holes look like you have applied little red gems to your card like Loll did. This is so brilliant and I adore the little "forever." Holy cow this is fun! Absolutely gorgeous card...what a great idea, too! Another very clever design! (and clever use of an eyelet punch). Hi Ardyth - love your card. At first I thought you'd used gems around the heart.......but then I thought "hole-hearted"? Clicked on the photo and these wonderfully spaced, perfect little eyelets sprang to light. Not sure how you got them so even, but I don't care.........it's gorgeous! 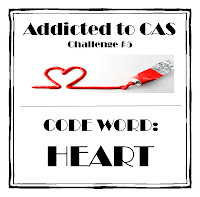 Thanks for joining us at A2CAS this week. What a simple concept and it looks like a million! I thought it was tiny rhinestones at first! Such a pretty card with a fantastic design! I have those old tools in my craft room and am now tempted to dig them out for a project like this. Great card! Oh my, my eyes were playing tricks on me when I saw the title of your post and thought the 5 looked like an S. (Shame on me). You are right about Kelly's cards and you did her punched one justice. No way, this is SO COOL!! You CASE'd my card! Oh I'm so excited : ) This card is AH-MAZING!! The gray, the peeking pink, the angled sentiment, and those "wrong way" holes ... woah, be still my hole heart!! I would have never, ever, ever thought to use the wrong side of the hole punches. It's so wrong, it's right. So, you won't believe it, but I happen to have a card on my desk that I CASE'd of yours. Hopefully I'll get it posted tomorrow. See if you can guess which one it is. It's one of my favorites. Clever card and totally stunning ! LOve your thinking, thanks for joining us once again at ATCAS with this beauty.